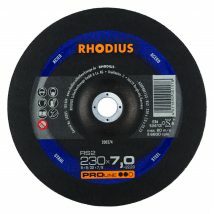 Versatile rough grinding disc, excellent for grinding hard materials. 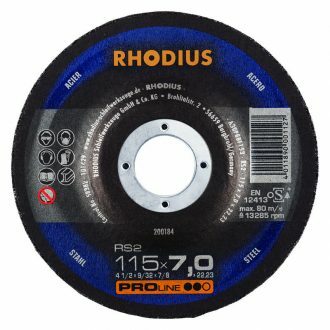 The Rhodius 115mm Grinding Disc RS2 is a versatile and rough grinding disc perfect for processing hard materials. It provides high stock removal and great longevity. 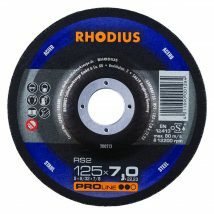 The Rhodius 115mm Grinding Disc RS2 is available in a variety of sizes. It is best suited for grinding steel applications. The Rhodius 115mm Grinding Disc RS2 is part of the PROline series. PROline Grinding Discs are for particularly high demands and frequent use in industry and trades.